The CFSI Corporate Partners Program is a six-tiered program offering an array of special benefits that enable companies to enhance their involvement and exposure in the fire and emergency services at the national level. 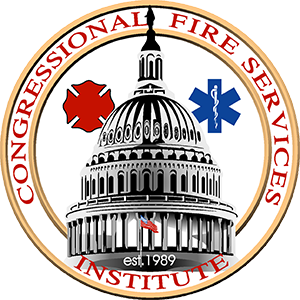 Based on your level of support, the program offers a unique package of benefits that will elevate your company’s name recognition among national fire and emergency services leaders as well as our government leaders in Washington, DC. The CFSI Corporate Partners Program will enable organizations to make their contribution at any time during the year – they will not have to wait for the 31st Annual National Fire and Emergency Services Symposium and Dinner Program. If you have any questions when registering, please contact Steven Tramel, Development Manager at 202-371-1277. *Two tables for a contribution of $7,000 or more; otherwise one table. NOTE: In-kind contributions do not apply to this program.